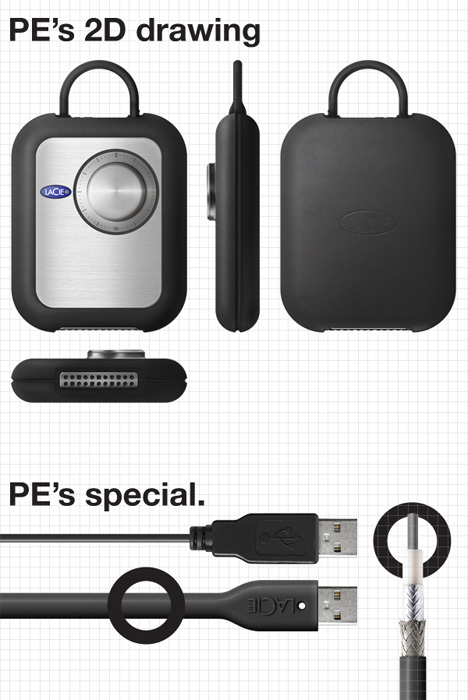 The pursuit of data security has inspired a ton of inventive devices, but the PE is an exceptional example. 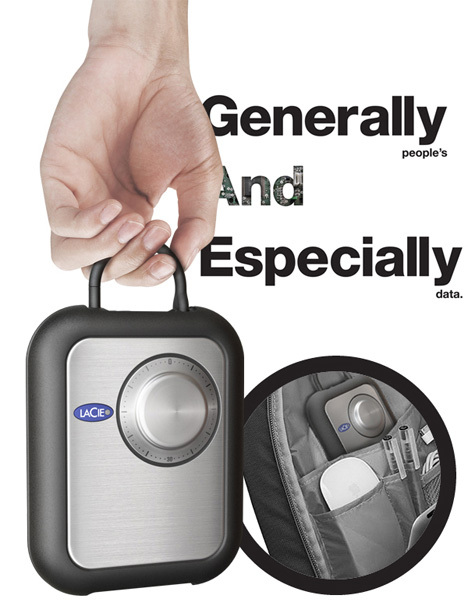 This external hard drive from designer Jae-Hoon Lee features a combination lock that won’t allow access to the data stored on it until the correct numbers are entered on the dial. The clever idea blends the digital and the physical, giving the user a familiar interface with which to unlock stored data. The loop at the top of the device is actually a super-thick USB cable that does double duty as a carrying handle and a data transfer avenue. 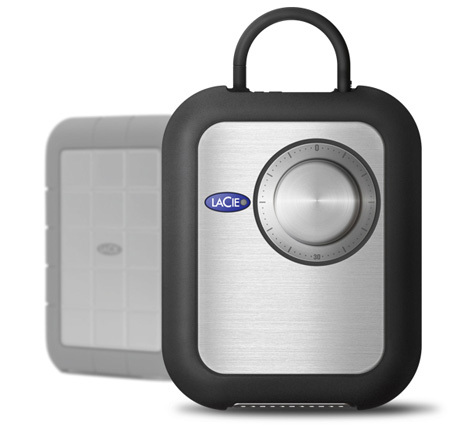 In truth, the PE doesn’t do anything a password-protected external hard drive can’t. But it does it in a rather amusing and novel way. The PE is only a concept for now, but it’s surely got a market among people who dig the retro aesthetic. See more in Computers or under Gadgets. February, 2013.